Media pioneers such as Discovery Communications, the BBC, Channel 4 and Amazon Video are all using the capabilities of AWS to transform their ability to deliver ever more relevant programming, respond to dynamic viewing trends, and capitalize on new commercial opportunities. In this session, learn about the recently expanded suite of tools for Media, and how industry pioneers have deployed them to supercharge their video capabilities. From serverless media management, agile and cost-effective cloud playout, deep personalization and monetization, and intelligent content discovery. All delivered with global reach: Are you ready for your cloud transformation? 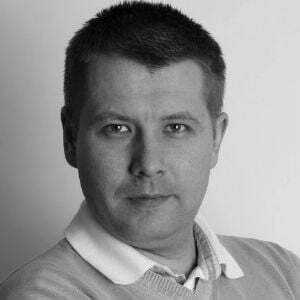 Simon Frost is the Head of Marketing and Business Development, EMEA for AWS Elemental, part of Amazon Web Services. 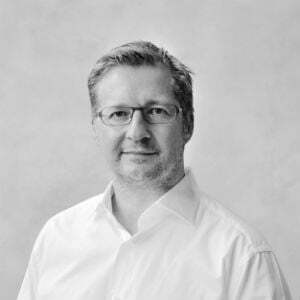 Prior to this he was the global Head of Media Marketing and Communications at Ericsson. 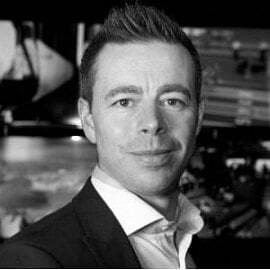 Frost has more than 20 years' experience in the broadcast, Pay TV, internet and telecommunications sectors where he has driven industry shifts and customer-focussed solutions. Frost is a regular industry speaker and event chair. 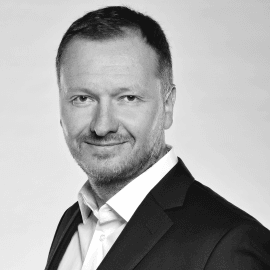 Prior to Ericsson, Frost held senior positions, including Vice President, IPTV Compression Solutions, Business Development Director at TANDBERG Television. 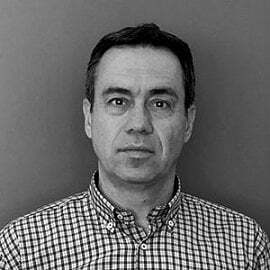 He has previously worked for Harmonic and Philips Digital Networks architecting customer video solutions. 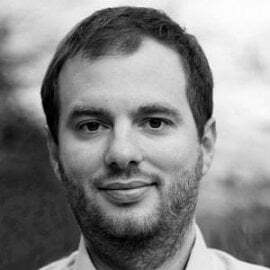 Martijn Van Horssen is the CEO and founder of 24i Media, a leading provider of multi-screen TV apps. 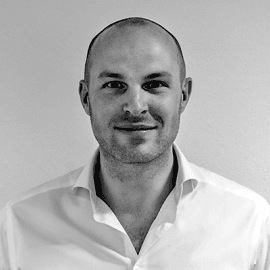 Together with his friend and companion Hans Disch, Martijn founded 24i Media in 2009 and since then has led the company as CEO. Rewarded with Deloitte's Fast 50 Rising Star as an innovative and disruptive media technology start-up, 24i has grown into a thought and market leader in engineering TV apps on all devices, screens and platforms - from set top boxes and SmartTVs to gaming consoles and mobile devices. 24i creates and maintains state-of-the-art TV apps for leading TV channels and operators, like RTL, FOX and KPN, in Europe and abroad. 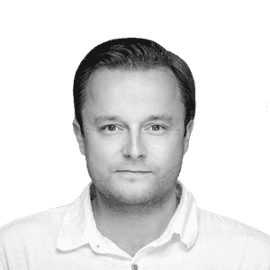 A frequent speaker at numerous industry conferences, Martijn is a recognised thought-leader and innovator who is credited with numerous technological breakthroughs in OTT, including development of the first 4K on-demand and live streaming apps for Smart TVs for RTL Videoland and Televisa. iflix was created for the rapidly growing, emerging middle-class population and their increasing demand for entertainment content. We set out to address a certain set of conditions, which tend to exist universally across emerging markets – prevalence of piracy, inconsistent infrastructure, inconsistent quality and distribution of internet connectivity, expensive and limited mobile data, low paid television penetration, low credit-card penetration and a lack of familiarity with online payment options – through technology and commercial partnerships. 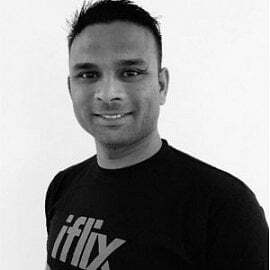 An avid Software and Computer Engineer with over 16 years of experience, Hizam joined iflix as the Head of Engineering to build and lead the development centre in Czech Republic. He has extensive knowledge and expertise in embedded systems, application development and development of telecommunication protocols. He has worked in numerous industries such as surveillance systems, semiconductor, e-commerce, telecommunications and broadcasting. Prior to joining iflix in 2014, Hizam was the CTO of idottv, where he lead a rapid development team to the completion of design and development of mobile applications and solutions for telecommunication companies across South East Asia. Hizam spent 10 years living in the Bay Area, California, USA, with 7 years of working experience in the field of Software and Computer Engineering followed by 6 years of work experience in Asia (Singapore, Malaysia and neighbouring countries) in the field of Software Engineering Management and Leadership. Lived in Cape Town, South Africa for few months while helping to setup the engineering team there and now based in Prague for almost 2 years. He holds a Bachelor and Master degree in Computer Engineering from California, USA. Czech TV has been broadcasting HbbTV services for 6 years. In that time, it offered a wide range of various HbbTV services and apps. Czech TV now has significant experience in this area. What new does this service bring to viewers and how is it going to develop further? Commercial opportunities, unresolved issues and challenges in the world of TV applications. Learn the lessons of more than 7 years of development and operation of Smart TV and HbbTV apps for the entire world. The Director of Internet Activities of the Prima TV group will explain the reasons and intentions behind Prima’s introduction of a new interface for its HbbTV hybrid app and the changes to the videoarchive at the iPrima portal; he will also summarise the lessons learned by Prima and show early audience feedback. Do Czech viewers know what HbbTV is and what it provides? What services do they generally expect from HbbTV? Is HbbTV the technology of the future? How is measuring conducted in the Czech people meter project and how do its results stand within the overall delayed viewing ratings on TV? Numbers from Nielsen Admosphere research show not only the reality of the current state of the audience's awareness of the possibilities and use of HbbTV, but also their plans, for example, in connection with the transition to the new DVB-T2 terrestrial television standard. Hybrid TVs no longer have to be just a platform for TV formats originating on the internet: this February, Prima TV managed to sell the first two spot campaigns through HbbTV. Petr Hatlapatka will explain the mechanisms Prima used, how the campaign worked and what are the results. The presentation gives an overview on Europe’s largest Addressable TV market with the development over the last years and best practice campaigns. It will also gives insights on the first HbbTV commerce trials and an outlook on new trends in the german ATV landscape like spot exchange. What role does HbbTV play in planning a communications mix? For whom is it suitable or unsuitable? FMCG vs. Durables. A handful of case studies and how are they handled in three Czech media companies? 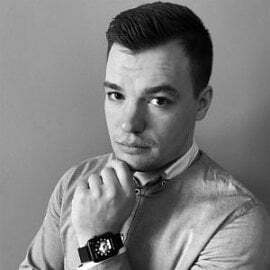 Do médií nastoupil v roce 1998, do agentury Mediaplan Praha jako analytik a IT manager. Věnoval se mediálním výzkumům, analýzám cílových skupin, mediálnímu a spotřebnímu chování. Prošel agenturami MediaWise a PHD, kde se věnoval strategickému plánování médií a podílel se i na novém byznysu. Spoluzakládal web mediaguru.cz, napsal příručky o mediálním plánování Media Guru Offline 1 a 2. Vedl výzkumné oddělení OmnicomMediaGroup a následně research TV Prima, kde se mj. podílel na crossmediálním produktu Primy se Seznam.cz. V současnosti vede jeden z klientských týmů mediálky PHD. An overview of the current progress and future plans in freeing up the 700 MHz band and the related transition to DVB-T2 broadcasting; the talk will recap the current state of preparation of key documents and requirements for related technology, including the lowest compatible version of HbbTV for the Czech market, and the possibilities of future development of hybrid platforms in the transition to a new standard of terrestrial broadcasting. Pavel spent much of his career at the Federal Statistical Office working on statistical data processing and IT applications. In the nineties, he worked for several information technology companies (including APP and ICZ). 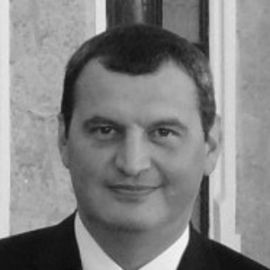 In 1998–2002, he was a ministry adviser and member of the ČSSD expert group on information and communication technology. He is the co-author of the State Information Policy and was involved in the drafting of various IT laws. 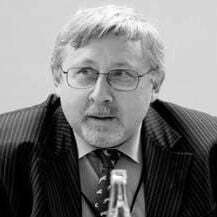 From 2003 to 30 April 2005, he worked as the advisor of the administrative bodies of ČESKÝ TELECOM, a.s. From 1 May 2005, he was member of the Board; on 1 April 2006, the government appointed him chairman of the Council of the Czech Telecommunication Office and later extended his tenure in 2009 and April 2010. He was in charge of the technical group that managed frequencies during the digitalisation of terrestrial broadcasting and took part in the work of the National Coordination Group. He was a member of the CTO Council from 2005 to 2015. For seven years he was its chairman, from April 2006 to April 2013. Since 2015, he has been an advisor at the Ministry of Industry and Trade, from July 2016 as the chairman of its coordination group for the implementation of the Strategy for the Development of Terrestrial Digital TV Broadcasting. How do the RELAX and REBEL thematic TV stations apply the possibility of using HbbTV advertising campaigns? Does the HbbTV application with the possibilities of an archive, OTT, a program guide and other entertainment services make any sense for thematic stations? How are small stations considering the move to the DVB-T2/HEVC standard? Does it make sense for thematic channels at a time of online streaming and social media? How do we see the future and position of thematic channels on the television market after full transition to DVB-T2? Nikola Pařízková is the executive director of the TV stations Relax, Rebel and Rebel 2 Slušnej kanál and INFO TV Brno a Jižní Morava. 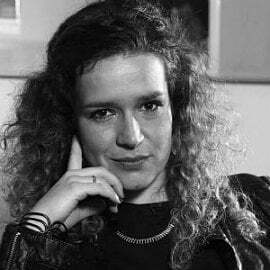 She graduated from the Institute of Communication Studies and Journalism of Charles University and the Department of International Political Economics at the Universidade Federal in Rio de Janeiro, Brazil, where she remains active in academia. 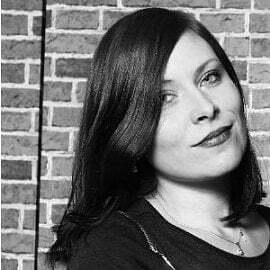 She started working in media in 2013 when she joined the media group of her father, Radim Pařížek. Since 2016, she has been in charge of management of the television sector, which currently consists of three nationwide television channels. In addition to the operation and strategic development of these stations, she is responsible for the new INFO TV Brno a Jižní Morava project, which aims to create community regional media and to connect the TV and radio platform in cooperation with the Dálnice radio station. She studied the history of anthropology in the Department of General Anthropology of the Faculty of Humanities at Charles University in Prague. However, she is involved in this field only in her spare time. She has worked in PR and marketing for ten years. For five years she has headed the PR and marketing department of the Pohoda Media Group of entrepreneur and visionary Radim Pařížek. She actively participated in the media campaign for the first wave of digital terrestrial broadcasting in the DVB-T standard, the so-called first wave of digitisation, and is actively working on an internal PR strategy for the transition to DVB-T2. Specifically, she oversees the communication activities of Digital Broadcasting s.r.o, Progress Digital s.r.o. and the RELAX, REBEL and REBEL 2 Slušnej kanál thematic channels. She also supervises the radio section – Rádio Čas, Rádio Dálnice and Rádio Čas Rock, which are also part of the Pohoda Media Group. She is also involved in the CITRON and Bohemian Metal Rhapsody rock music projects. We live in a time of ‘on demand’ content without ever being fully aware of this situation. With dozens of channels with hundreds of hours of time shifting, we are unable to grasp this content and effectively offer it to audiences. A time when producers of video content repeat the 17-year-old mistakes of the music industry while forgetting the most important thing – the reason users even switch on the television. And finally, how we deal with this at nangu.TV. 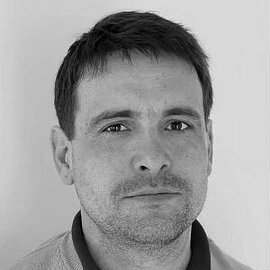 Ladislav Navrátil is the chief architect at nangu.TV, where he is involved in reshaping how people consume television. 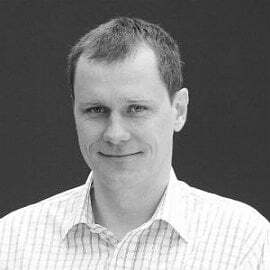 Ladislav spent almost 10 years creating marketing products and fell in love with mobile devices, leading him to work on projects such as stream.cz and mapy.cz. Among other things, he helped startups in Sillicon Valley design and define their products.